Home » Senior-Friendly Tech » What is the Best Computer Mouse for Arthritic Hands? It is no secret that using a computer mouse a lot causes hands and wrists to ache. This is especially true in our high tech society. It seems like a computer is required for even the most basic tasks. Because of this Repetitive Strain Injuries (RSI) are a common problem. But, add the pain of arthritic fingers and wrists and using a mouse can become unbearable. Clicking buttons and moving a mouse feels impossible with arthritis. Don’t give up though – there are solutions. I am going to help you find the best computer mouse for arthritic hands! In a hurry? Here are my recommended mice and mouse alternatives for helping with wrist pain, finger pain, and thumb pain from arthritis. Or, read on for a buying guide with advice on how to shop for a computer mouse for arthritis sufferers. What is the Problem with a Standard Computer Mouse? To see what I mean, do this: hold your hand and arm straight out like you are shaking someone’s hand. Feels natural with no stress on your joints, right? Now, rotate your hand 90 degrees until it is palm down. Can you now feel the stress in your forearm and wrist? This is not the best position for a hand and wrist. Especially the long amount of time people use computers. For arthritis suffers, tender and swollen joints add finger and thumb pain to the problem. Clicking buttons and rolling track wheels require flexible finger movements. Put simply, this just plain hurts for people with arthritic joints. Arthritis can also limit how far the joints move. In some cases, this can make using a standard mouse impossible. The National Rheumatoid Arthritis Association in the UK has a great article about computer use with arthritis that is worth a quick read. There are lots of suggestions out there for choosing the best computer mouse for arthritic hands. But, many of them base their recommendation on a mistaken belief: if you reduce RSI (repetitive stress injury) pain, it will help with arthritis too. I work with seniors every day as a power wheelchair provider. Many have arthritis and I have to take that into account with their wheelchair controls. They often have to hold the joystick differently. Often, I have to come up with alternative ways to push small buttons. Because of this experience, I take a different stance. Will an ergonomic mouse help? A common solution floating out there in internet-land is to just go get an ergonomic mouse. But I disagree. Ergonomic mice are NOT designed to help finger and joint pain. Their main purpose is to reduce pain from RSI (repetitive stress injuries). The goal here for the person with arthritis is to reduce the number of small joint movements that are required. Another goal is to position the hand to reduce the stress on the finger and thumb joints. Ergonomic mice with little thumb trackballs are not the answer. The small, repetitive movements needed to keep rolling the ball will cause havoc for an arthritic thumb. How about a Vertical Mouse? Some suggest vertical mice for arthritic pain. I say NOPE! Remember our exercise above when we held our hand out like we were shaking someone’s hand? That is the position a vertical mouse tried to copy. It places the hand in a more neutral, natural position. More “natural position”, that is, if you do not have arthritis. This type can actually increase the pain of arthritis because it places the hand in a grip position. The constant squeeze from this position will make actually make finger and thumb joints hurt worse. If you want a mouse with a trackball for easy scrolling, choose one that doesn’t require hooking or curling the finger to operate it. So, taking all of this information into account. Here are my recommended mice for people who suffer from arthritis of the hands. This is the best wired or wireless mouse for arthritic hands. The Handshoe Mouse from Hippus is a completely different take on the ergonomic mouse concept. Your hand literally rests right on the mouse with curved contours to fit your thumb and pinky finger. There is no need to grasp or pinch the mouse to move it. To use a cliche, it fits like a glove. That is why this mouse comes in 3 sizes, and is right and left handed. There are also corded and wireless options. 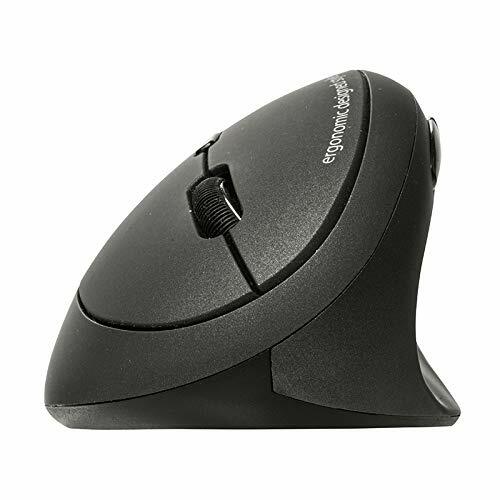 First, the whole hand rests on the mouse fully supporting the hand and all fingers especially the thumb, making this the best mouse for thumb pain. This keeps your fingers from being curled and floating up above the mouse where they have no support. Continually holding your finger in the air above the mouse builds tension in the joints of your fingers and wrist. However, because of the design of this mouse, the hand stays relaxed which keep joints from being stiff. Next, this design is helpful because it allows you to click the button using the entire finger. Typically only the fingertip does most of the work pressing the button. The buttons on this mouse also click very easily requiring very little pressure. The track wheel is located right under the fingertips too. There is no need to move the fingers side to side to get to the trackwheel. There is one caution to using this mouse. It does engage the shoulder an elbow more than a standard mouse. This isn’t a big deal unless you have severe arthritis in the shoulder or the elbow. Because this mouse is designed to fit your hand like a glove, it is important to get the right size to get the most benefit from this mouse. You must also choose a right-handed mouse or a left-handed mouse. The final choice is to decide if you want a wired mouse that plugs into your computer or a wireless mouse that works by Bluetooth. To get the proper size (small, medium, or large), measure the distance from the bottom of the heel of your hand to the tip of your ring finger. Then, use that measurement in the chart below to order the correct mouse. So, once you know the size, right hand or left hand, and wired or wireless, you can click here to see all the size options on Amazon. It’s by far the best mouse for hand pain, and the best mouse for wrist pain as well. Here’s a nice video that explains why a traditional mouse causes hand pain and walks you through how this mouse can help. 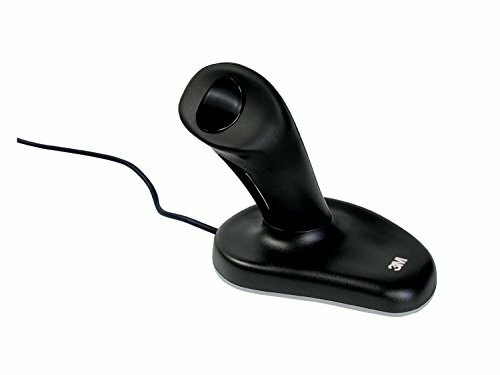 Note: This mouse has earned the Arthritis Foundation’s Ease of Use Commendation and is the best joystick mouse for arthritis. Admittedly, this mouse is very similar to the vertical ergonomic mice that I don’t typically recommend for arthritis, but this one makes up for some of the shortcomings. Unlike other vertical mice, this one allows the hand to completely curve around the handle. 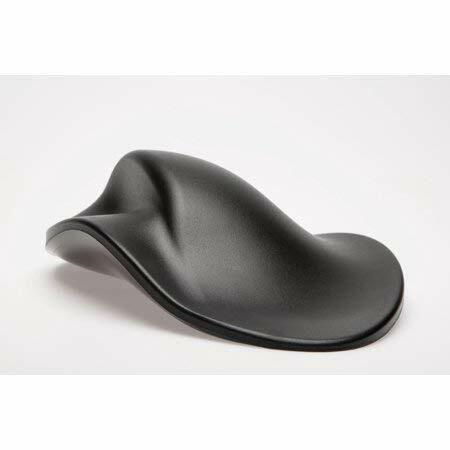 This curved grip ergonomic handle relaxes tight, painful arthritic joints and relieves the grip stress caused by many of the other vertical mouse options. The way you move and use this mouse also is easier for people with arthritis. To use this mouse, you hold the handle like a joystick. Then, you slide the whole mouse around using large arm movements. This is the difference. You don’t have to engage your wrist and fingers to bend a joystick shaft. With the 3M vertical mouse, the wrist is kept in a neutral position so it is helpful with arthritis in the wrist. Finger pain is reduced because the joystick is moved with arm and shoulder movements. Simply move the entire device with a smooth, gliding motion. This is less painful than repeated wrist and finger movements. Also, the button is located at the tip of the joystick where the thumb has easy access to it. Also, the right and left buttons are easily toggled back and forth with the thumb. It is important to note that because the mouse uses arm and shoulder movements, it may not be a good choice for those with elbow or shoulder problems. Also, this is a right-handed only product and comes in small and large sizes. No wireless version is available but it does come with a 6.5-foot long cord. Sometimes a mouse just isn’t the best choice for arthritis sufferers. It is sometimes impossible to position the hands in a way that keeps the joints from hurting, so there are some alternatives to computer mouse products. Other options are trackball devices and touch pads. This is the best overall trackball mouse for people with arthritis. Trackballs are often easier for arthritic hands. They work by rolling a large ball in the direction the user wants the mouse to go. This can be done with the fingers or the palm of the hand. Using the palm to roll the ball is particularly helpful for those with arthritis. The large rolling ball provides easier control of the computer cursor. It also gives you options You can use your fingertips or even the palm of your hand to move the ball. This is great for seniors with arthritis because they can find a movement that is the least painful for them. Speaking of being able to customize the way you use the trackball, there are other customizations you can make. This trackball includes free software you can use to program the ball and the buttons to make the trackball more functional for the user. There is also a scroll wheel on the trackball. This allows you to quickly scroll up and down web pages like this one to find what you are looking for. Other handy features are that this trackball mouse works with either the right or left hand. It even includes a detachable wrist rest offers a comfortably padded area that levels the wrist. There is a bit of a learning curve to using a trackball instead of a mouse. But with practice, many people are able to control their computer as well or better than they did with a standard mouse. So, if using a mouse is no longer feasible, consider this trackball. After the initial learning curve, it is easy – and less painful – to use. 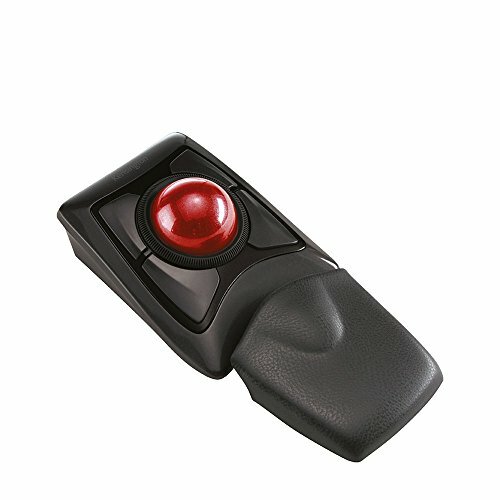 Because the buttons and speed of the ball are customized through software, this trackball mouse will benefit many arthritic computer users. This is the best touchpad mouse alternative for arthritic hands. Touchpads are another great alternative to computer mice. Especially for those with arthritis. If you are able to point a finger or even a knuckle, you can use a touchpad. Touchpads are basically external versions of the mouse pads that are built into many laptops today. To move the cursor, the user simply slides their finger on the screen. To click buttons, tap the screen or the two buttons built into this unit. You can even scroll up and down pages and other advanced movements. First, touchpads are simple and easy to use. You literally just slide and tap your finger on the screen to control the cursor. With some practice, these movements can be done without bending arthritic joints. Next, a touchpad is very similar to a tablet or a smartphone in its movements. 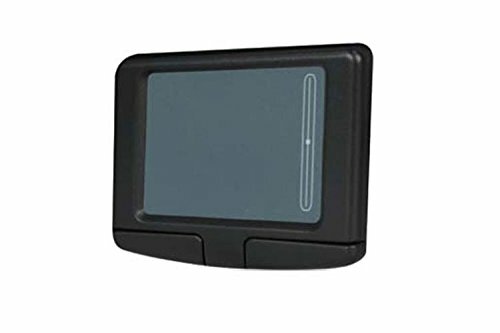 It uses many of the same swipe, pinch, and zoom gestures that these devices uses. Touchpads are also small, lightweight, and very portable. They also include 2 physical buttons for traditional right and left clicks. Just like a standard mouse. It does require some technical know how to get it set up. Someone who knows how to download and install driver software on computers should be available. But, it does come with a quick setup guide and USB cord. Drivers will need to be installed for it to work properly. Arthritis is painful and the more you use those swollen joints the more they hurt. Using the right tools and learning about home remedies like these will help. Some even report pain relief while wearing special made gloves for arthritis and doing daily wrist exercises. Thankfully, there are alternatives for standard computer mice for those with arthritis. I hope this information has helped you choose the best computer mouse for arthritic hands. If using a mouse with arthritis is just too painful, consider using a tablet instead. Have you had any experience using a mouse you would like to share? Do you know of another option I haven’t considered? Leave a comment below and tell me about it, and share this post on social media with your comments for friends and family to check out!